Home » Donna Shalala to become member of Congress? Donna Shalala is thinking about vying for a Congressional seat in the upcoming 2018 midterm elections, but she’s not 100 percent sure just yet. In an interview with The Miami Herald, the former president of the University of Miami said she was “weighing the kind of work that it will take to get elected.” She also said she wanted to make sure there’s support for her to run. Rumors have been swirling for weeks surrounding Shalala’s potential interest in running for Republican Rep. Ileana Ros-Lehtinen’s seat in Congress. Ros-Lehtinen, an incumbent since 1989 and UM alumna, represents Florida’s 27th District in Congress but will retire after this year. 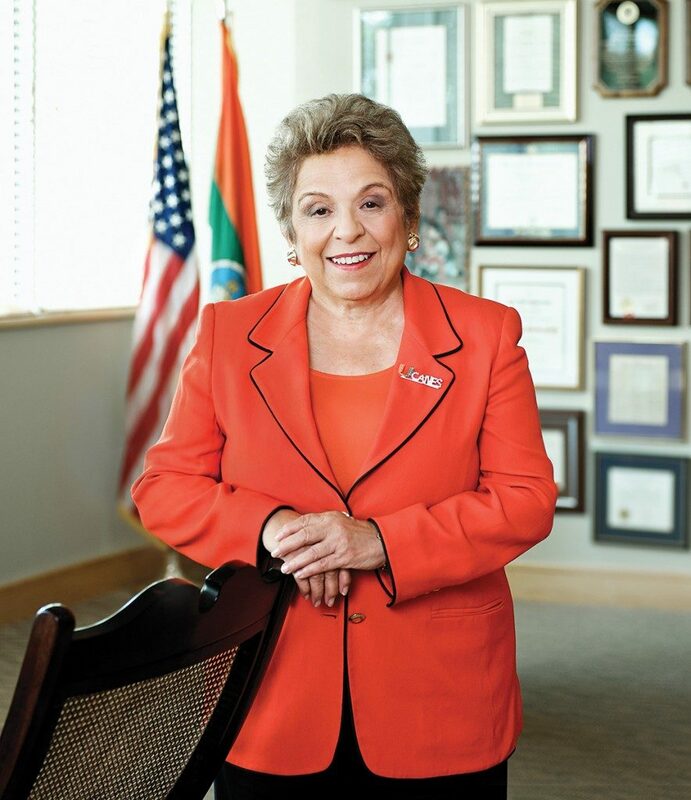 Though Shalala, 77, spent 14 years as UM’s president, she’s no stranger to politics. Shalala became the Secretary of Health and Human Services in 1993 under Bill Clinton’s administration. She held the position until 2001 when she was appointed as UM’s fifth president. During her tenure, she launched the Momentum fundraising campaign in 2003 and raised about $1.4 billion in support for scholarships, research and facility improvements. Almost 10 years later, the Momentum 2 campaign was launched and surpassed its $1.6 billion goal in 2015. Shalala stepped down in 2015 to become the president of the Clinton Foundation. She returned to UM in 2017 as a tenured professor after leaving the Clinton Foundation in April of that year. However, not all of Shalala’s presidency was smooth sailing. In 2006, maintenance employees working at UM went on a hunger strike to protest low wages and lack of health care. In 2011, the university’s athletics department was rocked by a Ponzi scheme involving booster Nevin Shapiro and UM’s football team. Still, Shalala would be one of the most, if not the most, recognized name on the ballot. If she decides to run, Shalala will be going up against a slew of candidates in the democratic primary, such as Miami Beach Commissioner Kristen Rosen Gonzalez and City of Miami Commissioner Ken Russell. Shalala will retire from teaching at UM after this year to campaign for the position should she decide to run. Correction, 2:58 p.m., Feb. 16, 2018: This article stated Ken Russell was a Miami Beach commissioner. Russell is a City of Miami commissioner. Correction, 9:21 a.m., Feb. 16, 2018: This article stated Shalala was thinking about vying for the Congressional seat open in the 2019 midterm elections. The midterm elections will be in 2018. The article has been updated to reflect this information.